Cannabis affects everyone differently. Different strains and methods of consumption give users different effects. And new users generally feel different effects than more experienced users. There are some people who don’t feel anything at all the first time they try cannabis. Many people who use cannabis find the experience to be kind of relaxing and a little euphoric. For some, it makes them more outgoing and social. But others report that it makes them tired, anxious, or paranoid. If you’re not sure how cannabis will affect you, it’s best to start with a low dose. And be sure to ask your local budtender for recommendations on strains, products, and doses to start with. The main difference between medical and recreational cannabis really comes down to the way it is regulated and how you access it. Medical cannabis requires a doctor’s recommendation for a qualifying ailment before you can access, purchase, or consume cannabis and cannabis products. Recreational cannabis, on the other hand, simply requires that you are over the legal age of 21. But there are also people who differentiate medical and recreational based on how each of them use cannabis. 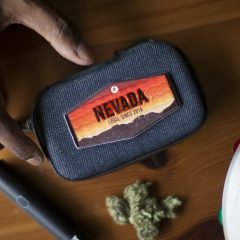 Recreational marijuana users are looking to experience novel states of consciousness, and connoisseurs seek different effects for different circumstances and to create different moods. On the other hand, medical users seek out strains that help with a specific ailment or condition. 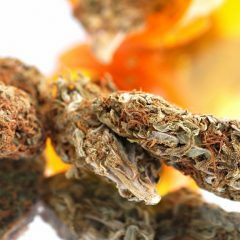 Oftentimes patients are looking for strains that help treat their symptoms but deliver only a mild psychoactive experience that will allow them to remain productive and active. Gone are the days of dialing up a friend-of-a-friend you hardly know in order to procure some product on the sly. Nowadays, however, there’s a solution right at your fingertips. Using Leafly’s free mobile app (on both iOS and Android) or Leafly.com, you can use the “Find Nearby” feature to locate recreational stores and medical cannabis dispensaries in your area. You can also find a specific strain you’re looking for with the Leafly Strain Explorer. From there, you can click the “Nearby” tab to find locations in your neighborhood that have the strains and products you desire. It’s best to store cannabis in a cool, dark place that’s out of direct light. Keep it in a container, like a glass jar, in order to minimize over-exposure to air. Keeping your relative humidity below 65% will help avoid mold and mildew. And, while not required, it’s always a good idea to separate your strains to preserve their individual flavor profiles. So there you go, 5 quick answers to some of the most frequent cannabis questions we receive here at Leafly. Stay tuned as we’ll be answering more of your questions in upcoming articles and videos. And don’t forget to subscribe to Leafly’s YouTube channel to stay up-to-date on all of the latest cannabis news and information, including details about thousands of strains and cannabis products. I have two 12″X12″ red & blue led hanging light fixtures & two 6 hole dwc hydroponic tubs. How many of these light fixtures should I use in a grow tent & what distance do they need to be from the plants? 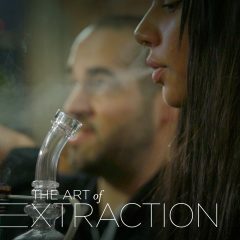 What vaporizer type do I use for crumble?